I got this plain rectangle-shaped tiger’s eye gemstone in one of the beads shop. There was nothing unusual or eye-catching about it, so I thought it might need some company in order to turn it into a piece of art. 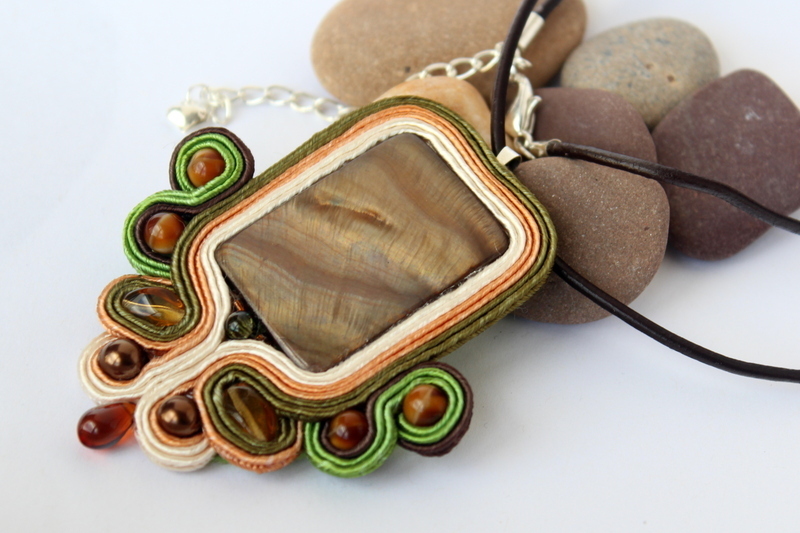 I framed it into green, white and orange soutache cords and added matching honey-color beads. And now it speaks! This large pendant comes together with a matching leather cord. 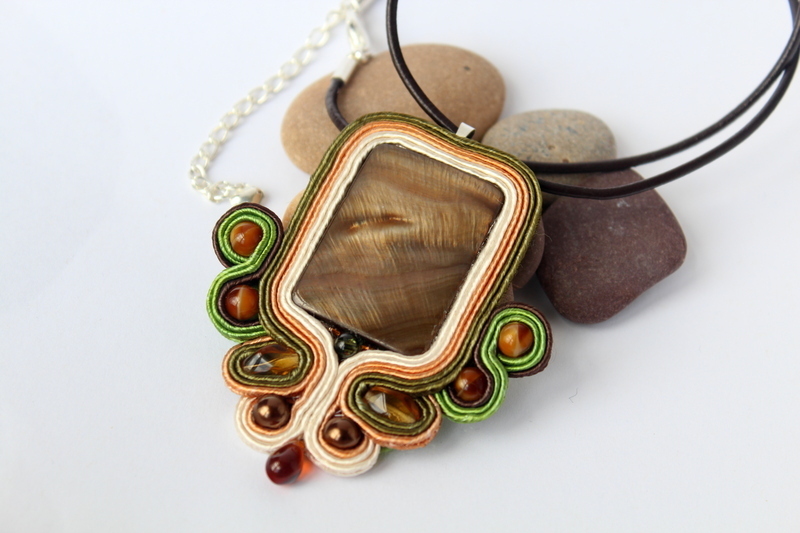 A large tiger’s eye cabochon framed in soutache cords. Matching glass decorative beads in honey color.